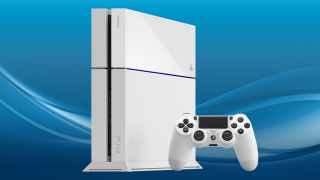 Has the PlayStation 4 been on a diet? With chunky 1TB hard drive and a slimline look, there's a new Sony PS4 on the horizon. According to certification documents published by the US Federal Communications Commission (FCC) there are two new models of the PlayStation 4 on the way, one with the standard 500GB drive and another with double the capacity. That's the most exciting stat, especially given the bloated size of the latest game releases, but the new stuff doesn't stop there. The certification docs also contain some other interesting new specs for these updated PS4 consoles. First, both devices are going to house a lower-spec power supply. The original PSU in the PlayStation 4 is rated at 250W while the new design has lowered the peak wattage down to 230W. That's likely not enough to indicated a big change in the components inside the machine, such as a more efficient new APU from AMD, but it does demonstrate a smaller, possibly more efficient, PSU. And why would a new PS4 need a smaller PSU? Well, that's the other potential little nugget from this story. The approximate weight of the two new models is down to 2.5kg where the original machine weighs in at around 2.8kg. Again, a 300g difference isn't a huge amount, but it might mean Sony has been working on making the overall design of the PS4 more efficient. Could this be the new slimline PS4 we've been waiting for? Sadly it doesn't look likely as the dimensions of the tested units remain the same as the original PlayStation 4 chassis. What it could mean though is that manufacturing changes have been made to cut production costs for the new models compared to the original design. But if you want to up the capacity of your existing PS4 there are already options. And a new 3.5-inch hard drive dock is only a week away from release. For $40 you can pick up the Nyko Data Bank dock and fill it with pretty much any old 3.5-inch hard drive you have lying around to bulk up your PS4's storage. It's certainly not going to lead to a svelte design, with the dock sticking out of the top of the console, but it's a lot cheaper and quicker than waiting for an updated console. Currently it's available for pre-order in the US, but we're hoping it spreads. But what do we expect from the PS5?